Welcome to Perspectives, a blog of thoughts, commentary and observations ranging from autistic adolescents to intimate portraits of urban communities. James G. Blaine Writer. Teacher. Storyteller. 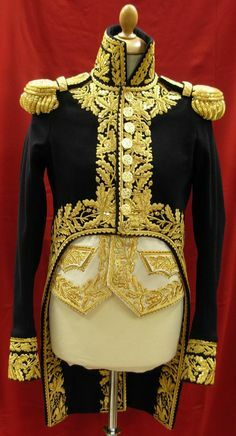 Will the Commander-in-Chief’s new uniform have gold-braided epaulettes? Amid plans for an imperial military parade currently being drawn up at the Pentagon (which you would hope had better things to do) and Erik Prince’s lingering proposal to privatize the war in Afghanistan (which Sen. Lindsay Graham called, “something that would come from a bad soldier of fortune novel”), this seems a good time to revisit the idea of universal service for America’s youth. There are many reasons to support it, and I’m in favor of every one of them. But right now, none seems more important than as an antidote to the grandiloquent, strutting imperialism currently being hawked in our country’s capital. There is “a troublesome trend in America: the evolution of a separate caste of men and women we send to fight our wars so we won’t have to. We praise their courage and send them again and again into battle while we go about our business. In exchange, we let them board airplanes early and enable politicians to demagogue their gratitude” (2014). “Only 0.5% of America’s young people are engaged in any public service” (2014). “There are many examples to build on – military service, Civilian Conservation Corps, Peace Corps, AmeriCorps – and there is so much to do – rebuild our infrastructure, revitalize urban neighborhoods, protect natural areas, educate children, revive a military that reflects the people as well as defends them, create a sense of shared community in a deeply divided nation” (2013).